Manage everything from the minute to the massive in SimCity for PC where your decisions come with consequences. You Built this City on - Casinos, Electronics, Coal, Trade or Universities are some of the Specialisations you can use to create your ideal City. 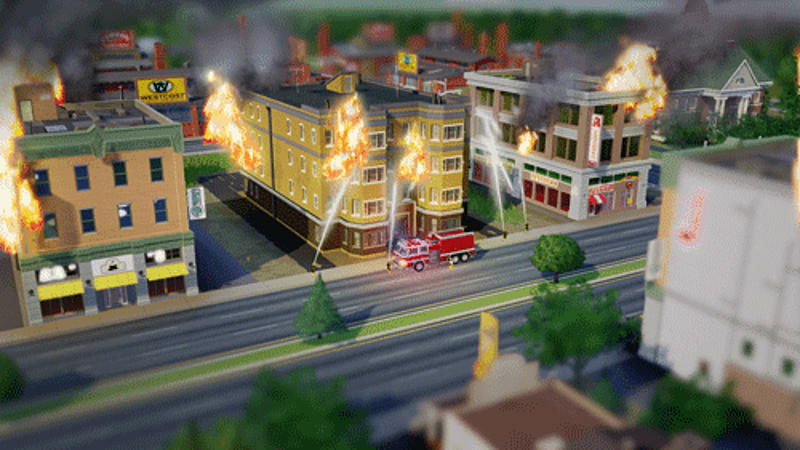 More the Merrier - For the first time in SimCity work with or against your friends, by helping if disaster strikes or leaving them to deal with the situation themselves. 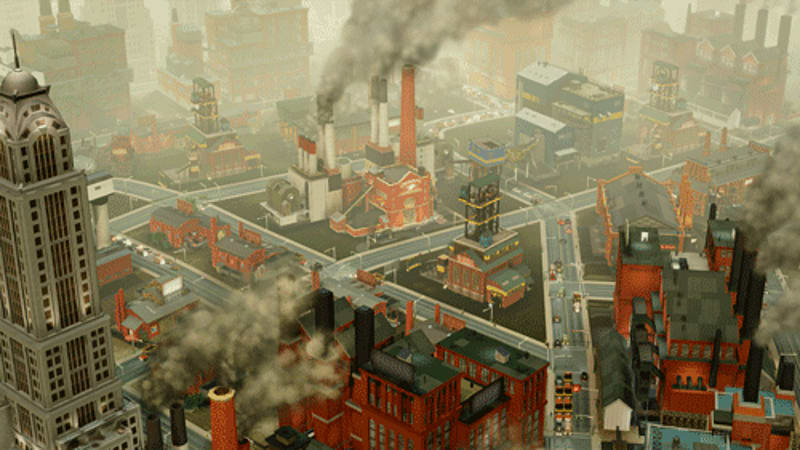 As Deep as you want - Powered by the new GlassBox engine, everything in SimCity is simulated. From the eco systems that are impacted by your actions to movements and thoughts of an individual Sim. If one isn't enough - You can oversee up to 16 Cities, all specialising in different industries that you can track to see how your region is doing. 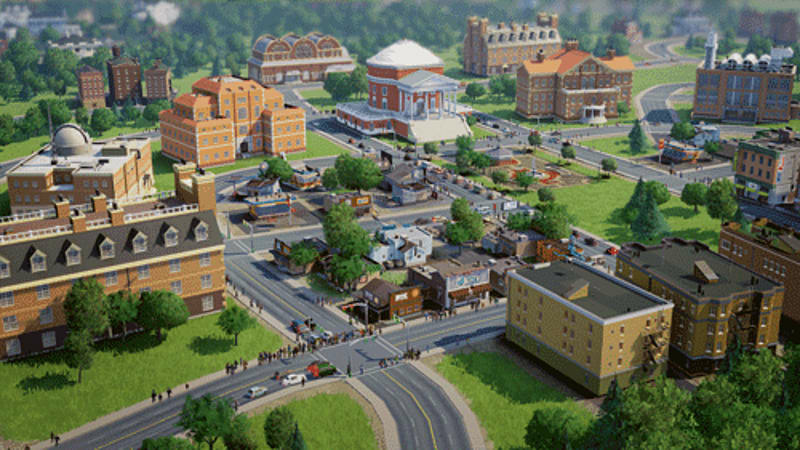 SimCity gives you the power to create and empower or to rule and destroy the everyday lives of millions of Sims as you strive to build the SimCity of your dreams. Build your SimCity on an industry that you know about including Casinos, Electronics, Coal and Trade to name a few. But each SimCity industry can bring the bad along with the good. For instance, should you decide to build a gambling empire with Casinos, you'll attract Tourists and make a lot of Simoleons, but you'll also attract crime which you'll be responsible for! For the first time in a SimCity game you'll be able to call upon your friends and work together to see that region becomes a successful and profitable area by trading and aiding with each other. Or you could compete to see who can build the better City. And should a natural disaster strike their city, don't send Fire Fighters and Ambulances to help - just sit back and watch it burn! 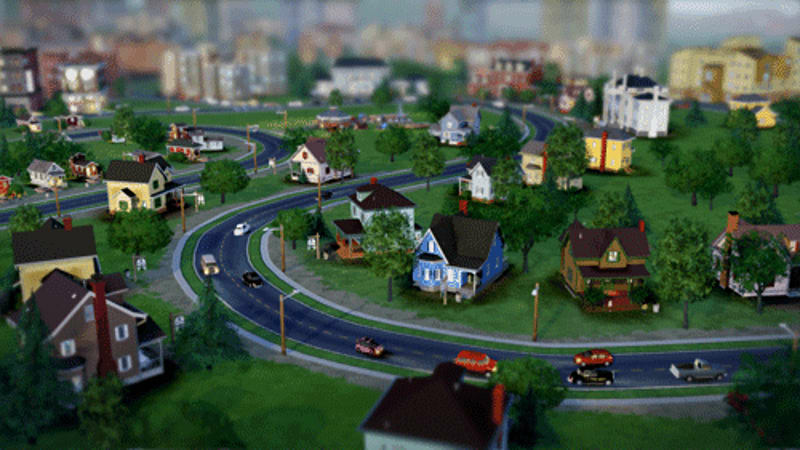 Powered by the all-new GlassBox engine, everything you see in SimCity is simulated from the travel network and power grids to the individual Sims themselves. Let the Sims go about their daily lives as you make decisions that will have an effect on how they behave. You can look at the big picture and see how your City is doing through overall stats or dig deeper and look at how the Sims themselves are feeling at an individual level. If you want a bigger challenge then SimCity will deliver as you can build and manage up to 16 Cities, creating a region for you to oversee! Balance out the industries of each City and trade across to build an economic empire that sees each City thriving and working together through the prosperity and working together when natural disasters strike.